Description of "उर्जा उद्याची (eBook)"
This book gives in detail information on Non conventional Energy sources like solar energy, Wind energy, Petroleum oil from plants.Energy form plants, etc. Dr. Kishore Pawar has been working as a Principal since 1993. He is a teacher of Zoology. he is an author of more than 25 books of zoology for three different universities and more than seventy five books on popular science, wildlife and environment in Marathi , English and Hindi. He has delivered several lectures on superstition irradiation he is recipient of State level ideal teacher award of Government of Maharashtra and University of Pune and MVP Samaj. 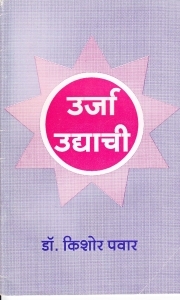 Reviews of "उर्जा उद्याची (eBook)"